Hello Yaron, it is a pleasure to speak with you today. Can you tell us about your background and the Technology & Rare Metals (TREM) Center? Hi Keith, thanks for having me. The TREM Center has become a nexus where policy, mining, and energy security meet. 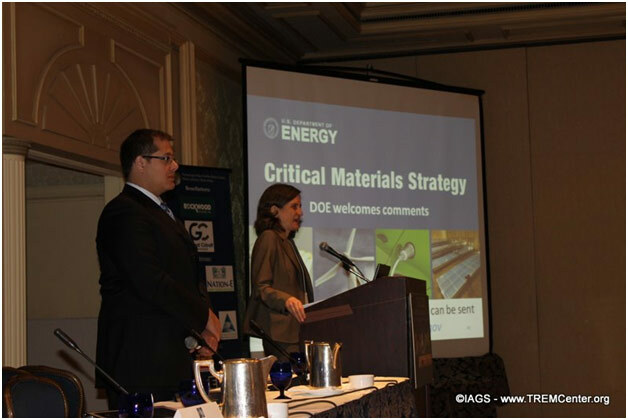 Our annual Washington DC conference on critical materials brings together members of US and international governments, executives from the mining, defence, energy and automotive sectors as well as investors. Our platform allows delegates to gain an advanced understanding of the future forces shaping our economy. My expertise in strategy really drives my activity in the critical materials space. After completing a bachelor degree in physics and business, I worked as a global supply chain management specialist in the technology industry. One of my projects was to create a corporate social responsibility audit procedure in the Chinese supply chain of a Canadian manufacturer. I then pursued my MBA in Entrepreneurship from the London Business School and continued with strategy projects in the clean-tech and resource sectors in South Africa, the UK, Qatar and Israel. I began working with the Institute for the Analysis of Global Security on material criticality and geopolitics in 2009. Our goal is to ensure the availability of the raw materials for renewable energy, electric vehicles, and national defence. In the last two years Rare Earth Elements (REE) have begun to attract a lot of attention but few people are even aware of what they are. Can you give us a brief overview? What are REE and are they different from Rare Metals and Rare Minerals? Why are they so important to our economy? Many people err and use terms like rare earth metals, rare metals and rare elements interchangeably. 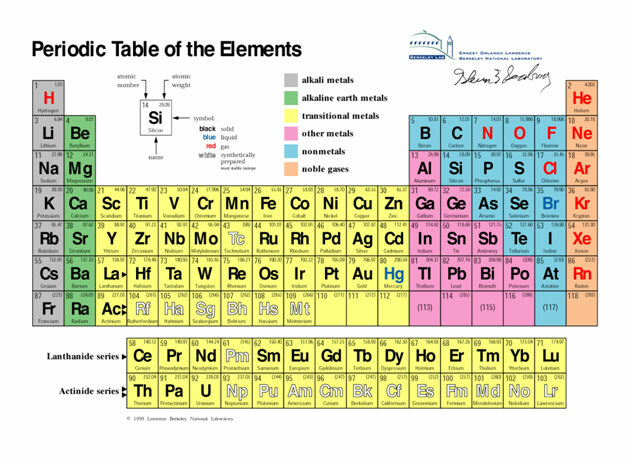 The rare earth elements are the 15 metals in the second last row from the bottom in the periodic table of elements (the Lanthanides), starting with Lanthanum and ending with Lutetium, and people often include Ytrium and Scandium. 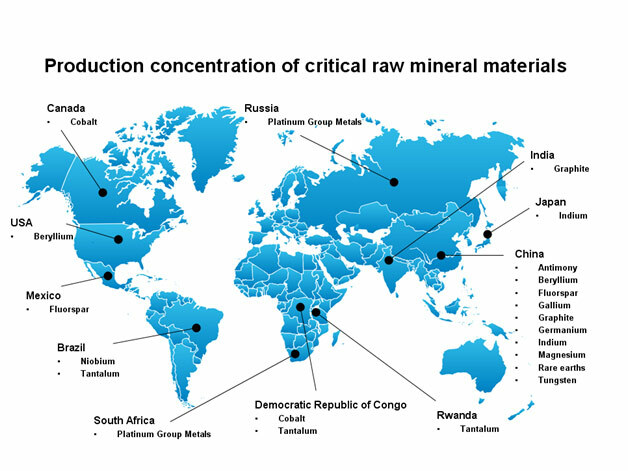 Rare earth elements are not really that rare – lanthanum, cerium and neodymium are about as abundant as copper and nickel - however, what is difficult is finding them in sufficient concentrations to make extraction economically feasible. Today, nearly all rare earth metals are produced in China. Terms like "rare metals" and "rare elements" have no clear definition, and often include REEs. What makes these metals them vitally important to our economy is that they enable modern technologies. 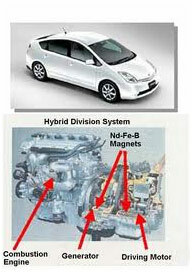 For example, rare earth magnets are much more powerful than ferrite ones of similar sizes, which enables miniaturization of things like motors. 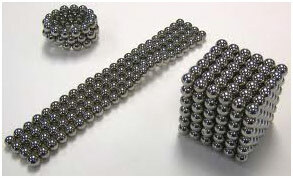 These magnets are used in hard drives, cd players, cell phone vibrating alerts, and headphones. 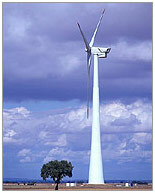 More interesting is their uses in energy and defence applications. Wind turbines use around 1000kg of neodymium per megawatt; smart missiles use them for steering; and they provide the motors for electric cars. Rare earth phosphors are used in low-energy lighting to provide more natural illumination. 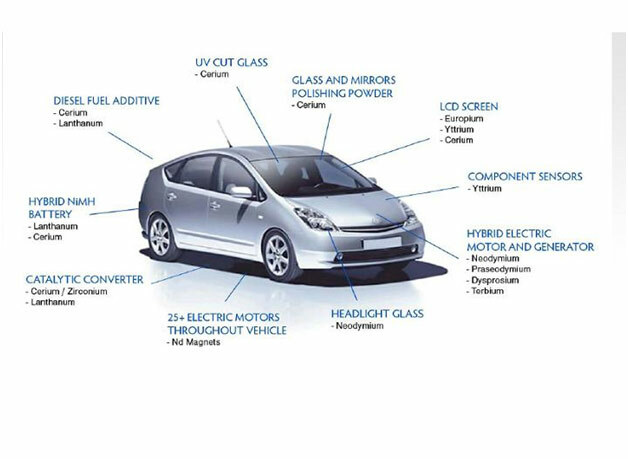 Lithium is another important metal, which traditionally has been used in glass and ceramics, and as a lubricant. Lithium demand is skyrocketing because of its use in rechargeable batteries for both transportation and electric grid enhancement. These uses are also driving increased demand in other associated materials, like cobalt, vanadium and more. I like to use the analogy that these metals are like yeast in bread. In terms of quantity and cost, they often contribute very little, but if you don't have them, you get crackers. Rare Metals and REE are difficult to extract in an economically-viable and environmentally-sound manner. Furthermore there are major differences between heavy and light REE. Can you comment? 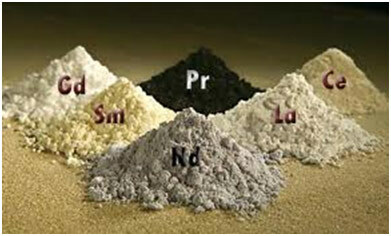 Mining rare earths is very different from other metals. It is a multistep process that, if not executed properly, can have significant externalities. Rare earths are often found along with radioactive elements like thorium, which requires appropriate handling and storage. Interestingly, thorium can also be used as an excellent nuclear power fuel. Modern extraction processes like the ones being developed in the US and Australia are carried out in an environmentally responsible manner. China, which produces the lion's share of these metals, has historically had poor enforcement of its environmental regulations. 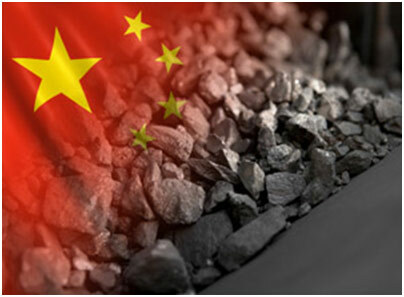 This is changing as China consolidates its control over the rare earth industry. 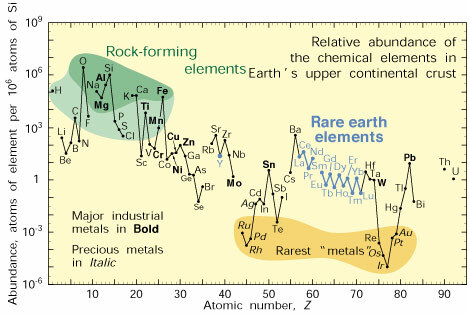 Light rare earths are those found to the "left" of Europium or Gadolinium (depending on who you ask), while the "heavies" are found to the right (along with Yttrium). 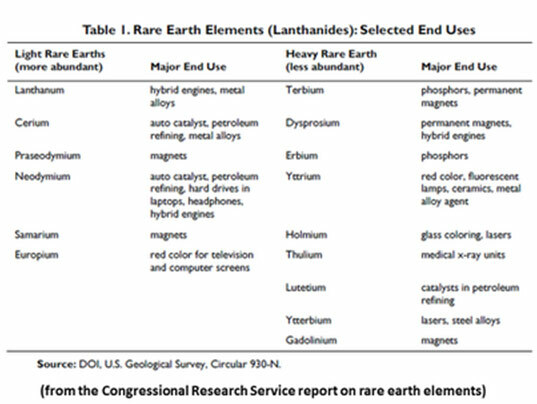 The rare earths are found all together, but with different concentrations. Lights are more common, and heavies are more rare. However, heavies, like Dysprosium are of great importance. 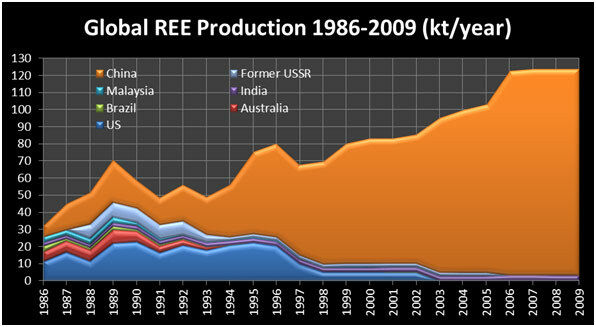 The US used to be a major producer of REE though now most of these resources are produced in China. How did that happen and what has been the effect of this shift in production? Are there countries other than China that benefit from the importance of REE? Will we see new cartels like OPEC form to maintain prices and supply? While China produces nearly all the world's rare earths, it has only a third of the reserves. Early on, the Chinese government at the highest levels recognized the strategic importance of rare earths, and used various methods to support the domestic industry. The former premier, Deng Xiaoping is famously quoted as saying that "The Middle East has oil, and China has rare earths." They achieved their dominance through poor environmental stewardship, trade intervention, and the fact that the largest source of rare earths is not a rare earth mine, but rather an iron mine that produces rare earths as a by-product. The effect has been that, until now, producing elsewhere has not been feasible. 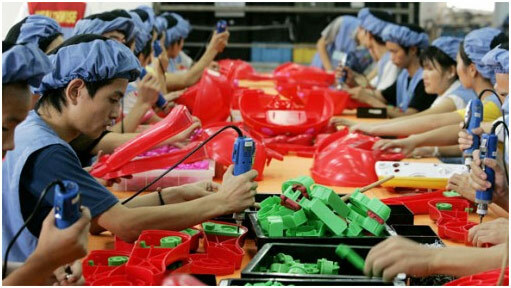 However, demand has been growing within China, and so export restrictions have been put in place. As a result, prices of the rare earths have fluctuated wildly, and the world is waking up to the fact that dependence on a single source of economically critical materials is a dangerous situation. 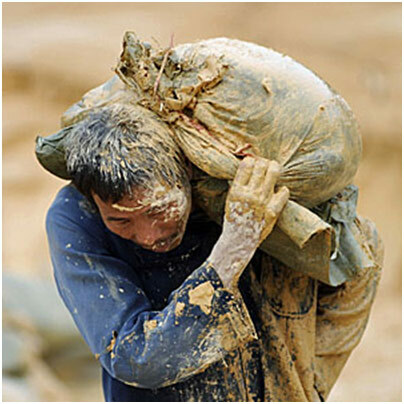 Currently, no other country benefits as much as China, which has created tens of thousands of rare earth scientists. As the US brings on renewed production of rare earths, and other mines in Australia, Canada and elsewhere begin operating, we will see a shift towards a more diverse supply. However, China will continue to be a major player. It has attempted to purchase international companies with reserves, and is a major consumer of these materials. The Chinese government has also started a "Trade Association" which will set production quotas and help to control pricing, which is quite reminiscent of OPEC's activities. 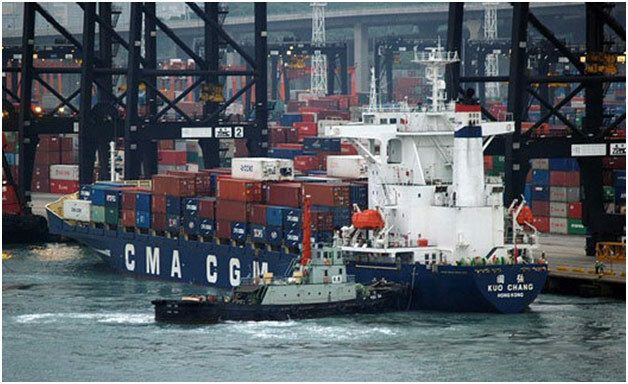 REE began commanding a lot of attention when China began to restrict exports in 2010. Prices rose significantly as did interest in new sources of supply and exploration prospects. Supply chains were disrupted and policymakers around the world began to pay much closer attention. Can you talk about these events and the response it provoked? China has had a quota on rare earths for a number of years, despite the practice not being allowed under their accession to the World Trade Organization. However, what caught the world's attention in 2010 was the geopolitical aspect of resource control. China has long standing territorial disputes with Japan over the East China Sea, and with Southeast Asia over the South China Sea, largely because of oil reserves. In 2010, the Japanese arrested a Chinese fishing crew for entering disputed territory, and reports emerged about shipments of rare earths no longer leaving China for Japan which depends on these materials for its technology industry. Subsequent statements were released by US Secretary of State Hilary Clinton over America's support of Southeast Asia in the South China Sea. 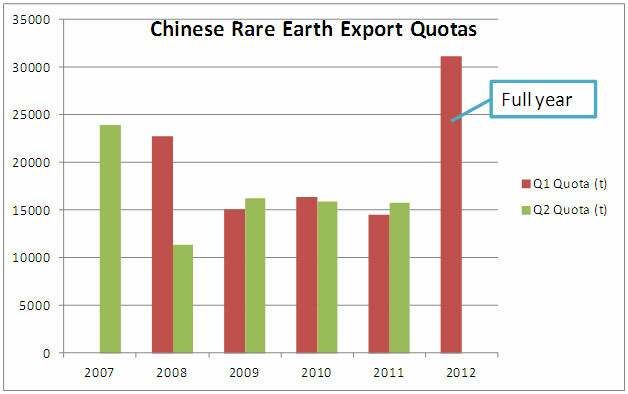 Soon, rare earths stopped being shipped to the US. 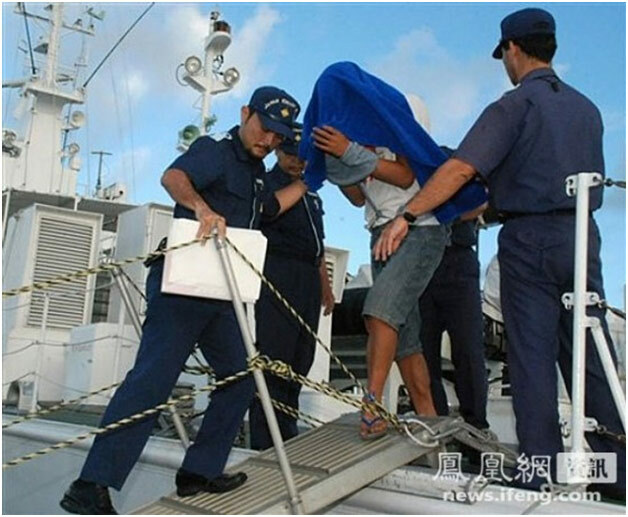 This situation, which the Chinese government officially denied influencing, lasted for a couple of weeks, until Japan relented and sent the captain of the fishing trawler home. I feel that there is another interesting parallel here with the OPEC. In 2008, when the Swiss government arrested Hannibal Gaddafi and his wife for physically abusing hotel staff, Libya shut off fuel supplies to Switzerland until he was released. Indeed, resources have always been an important lever in international relations. At our conference this year, delegates will be able to gain a greater understanding of this particular issue as our speakers include His Excellency Ichiro Fujisaki (Ambassador Extraordinary of Japan to the USA), and Dr. Si Jinsong (Second Secretary of Economic Affairs Office in the Embassy of China and former Deputy Director of the Development & Planning Department in the Chinese National Development and Reform Commission). This initial shock also caused investors to sense an opportunity and share prices of the few companies that possessed supply or exploration prospects soared. This led many other companies to claim expertise and to establish a presence in the sector. Tensions eased, however, and share prices declined. Has anything been resolved or are we simply enjoying a moment of peace before this issue heats up all over again? Prices have reduced, but are still subject to extreme volatility. There are also severe constraints beyond rare earth bearing minerals. Strategies need to look both vertically down the value chain, and horizontally into other metals. 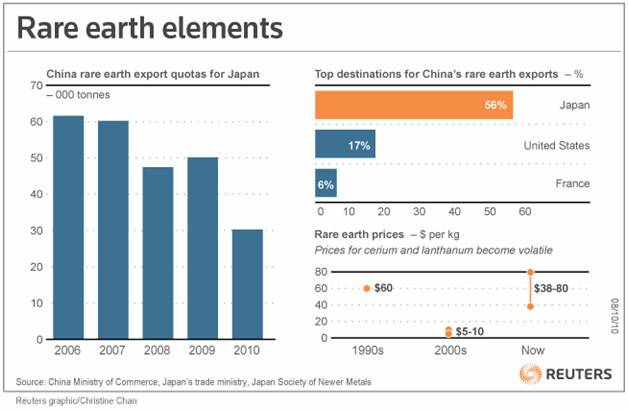 Additionally, rare earth metals are not the only material subject to supply constraints. Various pundits will bring up all manner of materials that they feel need to be examined for criticality issues, whether it be vanadium, cobalt, graphite, tantalum, lithium, etc. Some are of course, paid to hype a particular commodity. Our approach at the TREM Center is to bring together all members of the resource and technology industries so that they can discuss these issues of criticality. As a non-profit educational Institute, we are not influenced by any individual stakeholder. REE are critical not only for transportation and technology but also for defence and many people have stated alternative energy means trading a dependence on oil for a dependence on REE. How important a policy issue is this for the US and other countries? What is being done to resolve this critical issue? One must admire the ingenuity of the oil industry and the ways they work to keep us addicted to oil. When talking about transportation, we need to realize that if oil stopped flowing freely and pump prices skyrocketed, the economy would crumble. People, goods and food would stop moving. However, an electric car does not run on metals, it runs on electricity. So if rare earths were to stop, our transportation system would continue to work. Additionally, oil is a non-renewable resource, whereas metals can be, and are, recycled. Now, from a geopolitical perspective, there is a much greater risk. As I already pointed out, resources can be used for diplomatic leverage. Further, not everyone sees eye to eye on global issues. For example, Iran’s nuclear weapons ambitions are a just cause for concern and potential military action for western countries. However, for others, Iran is a crucial source of fuel and an important export market. 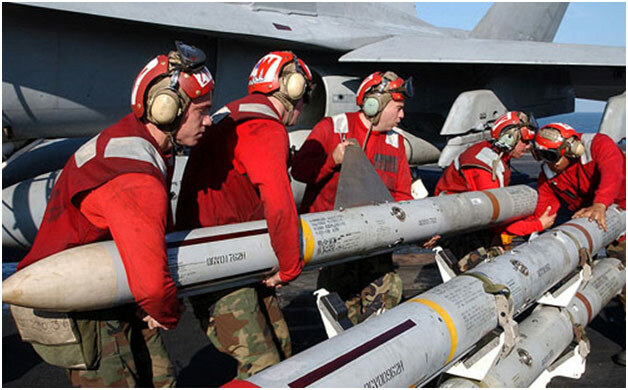 Many defence systems require the use of rare earths and other critical metals: sonar, night vision, precision guided munitions, armour, ammunition and so forth. It is of utmost important that America and its allies ensure that the defence industrial base is appropriately safeguarded against disruptions. Congress has required the Department of Defence to study the issue and release a report on these vulnerabilities. This report is currently well overdue, and is expected to be released imminently. However, it is possible that the general public will not see its contents as military technologies are often subject to classification. A representative from the Institute for Defence Analyses (the DOD's think tank) will present on the work he has been doing to support this issue at TREM12. Recently we have begun to hear a lot about the importance of graphite. What is the reason behind this interest? It is based on real fundamentals and supply concerns or hedge funds and speculators seeking to build momentum in this emerging sector? Graphite can be an important ingredient in automotive and grid storage batteries. 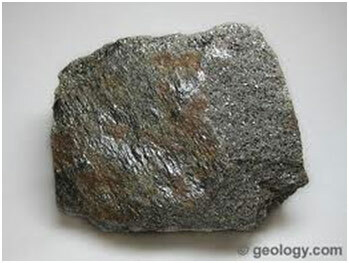 However, there are many types of graphite: electrodes, carbon fibers, specialty graphite, granular & powder, and others. There is a lot of conflicting information on this, and at our TREM12 conference our graphite panel will debate the criticality issue. The panel will feature speakers from Asbury Carbons, GrafTech International, and Focus Metals. What other issues and areas should we be concerned about when it comes to REE and metals? How do you see this sector developing moving forward? There is an interesting twist to the discussion. On the one hand, people are working to ease trade restrictions from China. However, if that happens, prices will drop and make new developments less feasible. Thus, it is important to note that a free-market approach can still work: if prices rise, new entrants will develop additional supply. I can make one definite statement: whomever tries to predict the future stands a good chance of being wrong. You are planning to hold your third TREM conference this month near the Pentagon just outside Washington DC. Tell us about this event, what will be covered, and how will it differ from your conference last year? 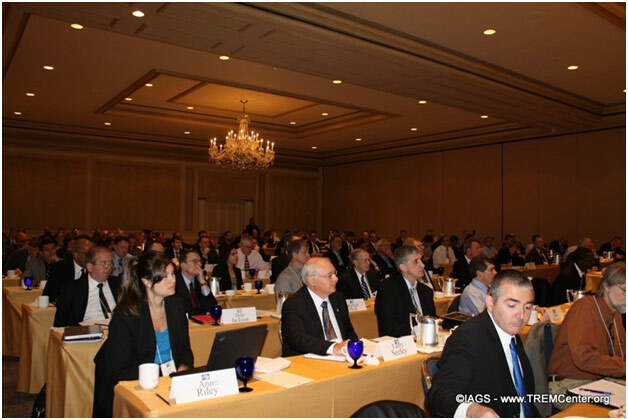 TREM12 will take place on March 13-14, 2012 at the Ritz-Carlton Pentagon City. Our keynote speakers are Japanese Ambassador Fujisaki; The Honorable David Sandalow, Assistant Energy Secretary for Policy and International Affairs, who leads the Critical Materials task force; Senator Lisa Murkowski of Alaska; and Principal Deputy Assistant Secretary of State Robert Cekuta, who works at the newly created Bureau of Energy Resources. We will explore issues like the effect of austerity measures on the renewable energy industry, the future of automotive and grid storage batteries, new resource developments in the US and abroad, supply and demand imbalances, defence supply chain issues, and Congressional initiatives. There will be plenty of opportunities for our guests to meet and network, and to gain knowledge from experts. Thank you Yaron for your time and attention. Before we conclude do you have any final words to leave with our readers? Your readers are welcomed to register for the conference and become involved in the work we do. This is a great opportunity for them to understand the issues that directly affect the future of the companies working in this sector and to influence policy to make our world a safer, cleaner place. Thanks for talking to me today. 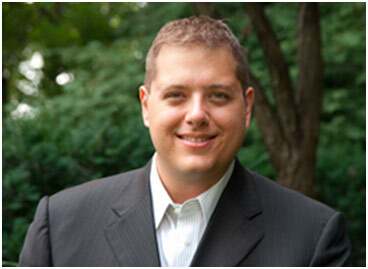 Keith W. Rabin serves as President at KWR International, Inc., a consulting firm specializing in the delivery of Asia-focused trade, business and investment development, research and public relations/public affairs services for corporate and government clients.